In part one of this two-part series, we explored the topic of metacognition and the importance of building it into our instruction for English learners. By teaching students about metacognition, we can increase their awareness and help cultivate this skill in our students. In addition, by tapping students’ prior knowledge and linking to past experiences, we can help students to be more metacognitive and improve their learning skills. In this second part, we will look at additional instructional strategies that can be incorporated in your classroom. I have written in the past about developing learning objectives, including developing content and language objectives, and the power of developing them for English learners. Objectives can be a helpful tool in developing metacognition; students can and should reflect on the objectives to determine what they already know, and what they need to learn in terms of the posted and set objectives for the particular lesson being taught. This reflection can be done before the lesson, during the lesson, and after the lesson to continually build metacognition. Before the lesson begins, have students consider and discuss or write about the objectives themselves. For example, if you have a language objective that focuses on vocabulary attainment, have students think about and discuss their familiarity with the vocabulary words. They may consider if they have never heard the words before, if they have heard them but do not know what they mean, have heard them and have an idea of what they mean but are not confident in their knowledge of the word, or know the word. Similarly, if the objectives focus on improving specific reading and writing skills, students can consider the text or type of writing and rate their knowledge or skill level before the lesson begins. During and after the lesson, students should begin to consider their level of attainment towards the objectives. Just as teachers should share the objectives with students at the beginning of a class or lesson, reviewing the objectives during or at the end of the class or lesson allows students to reflect on their progress or level of attainment of the knowledge and skills. Having some descriptors or a rubric can be helpful tools in helping students consider how well they are developing the skills described in the lesson. Share with students the level of progress they have made as class based on your observations of the class during the lesson or during a longer period of time. Additionally, students can engage in self-reflection exercises, as they consider for themselves how much progress they have made towards the listed objectives. In using a rubric or reflecting on their progress towards meeting or mastering objectives, students consider the helping and hindering forces affecting their attainment of a specific goal or objective. To begin, ask students to identify what success looks like when the objective has been met. This can be done at the beginning and/or at the end of the lesson. Students can engage in a short writing activity, make a quick sketch or drawing of what success would look like, or use technology to create a comic or scene using a whiteboard app or comic creator, for example. Then, have them reflect on forces, such as hunger, distractions, behaviors, or a lack of specific skills and materials that would hinder their progress of attainment toward the goal. Lastly, students should reflect on their progress towards the goal and steps they can take towards limiting or eliminating the hindering forces that are preventing them from fully attaining the goals. In addition, at the conclusion of the lesson, they can consider what helped them to make progress towards the goal, including specific instructional techniques used by the teacher, tools such as graphic organizers and specific learning strategies like note-taking tools. By having students consider what works well in terms of facilitating their learning and what barriers may be in place that hinder their learning, they are building metacognition and developing skills to help them to become more efficient and effective learners. 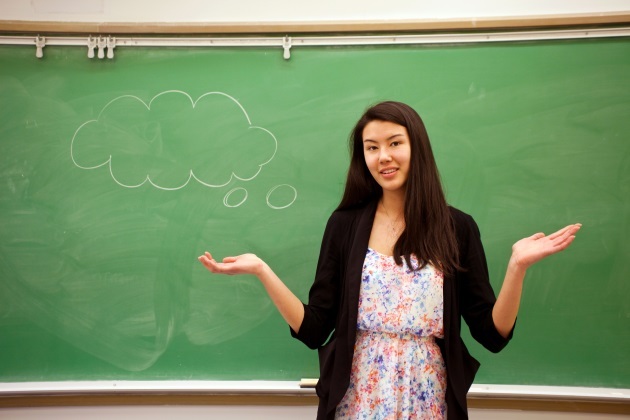 A think-aloud is, as the name implies, when a teacher shares their thinking aloud with students. The purpose of a think-aloud it to share with students the thought process that a skilled person uses. Think-alouds demonstrate self-awareness to students; one has to be metacognitive and aware of their thought process in order to engage in a think aloud. Many teachers have used think-alouds in their classrooms during the teaching or reading or mathematics to share their thought processes while reading for understanding, to show how to make connections in a text or make a prediction based on what has already happened, to determine how to start solving a problem, etc. Think-alouds can be incorporated in a variety of contexts, including how one might plan their day based on what needs to get accomplished, prioritizing specific tasks, for planning and beginning a writing assignment, or starting a project. By sharing these think-alouds with students, you are modeling for students how they might think through what they need to accomplish. After modeling think-alouds, teachers should of course have students practice thinking aloud with others. This can be accomplished through a partner activity wherein students share with each other what they are thinking. Sentence starters can be used for these think-alouds, especially at the beginning as students are learning to consider their thoughts and articulate them. However, as time goes on and students become more adept at monitoring their thinking, they should share their thought processes without the frames so that they can consider their thought processes as they come and discover ways that they may be able to improve their thinking processes. I (think/predict/hypothesize) _________ will happen because _______. Let's try _________ because then ___________. I (think/predict) ________ will occur. Based on _________, I think ___________ will happen. After modeling a think-aloud for students, have them begin to practice in pairs or small groups. Students can utilize the sentence frame examples provided, or just share their ideas with a partner. Consider setting it up so that each student has a role. For example, assign each student as person A and person B. As person A shares their think-aloud, person B should take notes, jotting down some of the critical ideas the person is sharing. This helps students to learn to listen carefully as well as take notes. When person A has finished sharing, person B can prompt them to include any aspects that may have been missed, or clarify something that person A shared that was unclear. Then the students should switch, with person B doing the think aloud and person A recording notes. It is important to note that you can alternate these roles rather than having both partners share their think aloud each time; just be sure that you are providing opportunities to both students to share and to take notes. Perhaps the most effective way to build metacognition is to emphasize it throughout the instructional day. By consistently asking students to be metacognitive by focusing on their thinking processes, what is working for them in terms of learning and retaining knowledge, and what they need in order to deepen their understanding. The following questions can be used as a follow-up to any questions asked in class. Resist the temptation of only asking these questions when students provide an incorrect response. Use these questions even when students are correct! Providing students with a variety of ways to solve problems, be it in learning new words, comprehending a piece of text, or solving problems in mathematics, we not only help build learning skills but also provide an opportunity to be metacognitive in terms of what works well for them. For example, you might provide students with one or more note-taking strategies, such as visual note-taking, outlining, and suing Cornell notes in differing scenarios. Once students are familiar with the tools, you can ask them to choose from the various methods provided in a particular note-taking situation, and ask them to explain why the particular note taking strategy is best suited for that particular scenario. This same idea can be applied to other instructional scenarios, such as using particular graphic organizers or using mathematical problem solving strategies. What do I know now that I did not know at the beginning of the unit or lesson? For English learners, these questions can and should be applied to both content knowledge as well as language acquisition. Metacognition will not be built in a day. The key to building metacognitive skills with your students is to be consistent. Continually model for them, have them practice, and ask them to reflect on the effectiveness of specific strategies. Have them consider what works well for them, what their particular strengths are, and what areas they need support in to continue to grow. By continuing to build metacognitive skills with our students, we can help them to become more effective and efficient learners of both content and language.